Ho! Ho! Ho! Happy Holidays everyone. 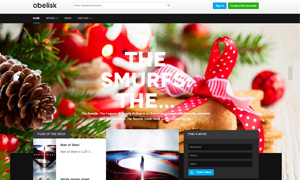 Fully enjoy this season with 30% OFF coupon code all Drupal premium themes from TB Santa. You are a creative person, owner of a small business or a freelancer? 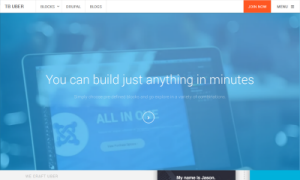 Heavy and bulky themes doesn't really fit to your website? 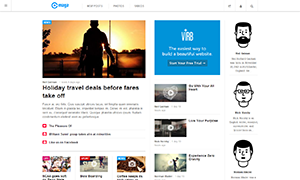 Let me introduce you to TB Page - a responsive Drupal onepage theme for your minimal website. All in one homepage, fast and easy to access the content. Smooth transition between sections. How to help our visitors to learn Drupal? They come from WordPress or Joomla. Or even from a non PHP background. Are you used to Drupal? Do you know how to theme? Have you basic knowledge about CSS? Questions which I ask to our site visitors to have a clue about their level of knowledge. So easier for me to chat with them. Read more about How to help our visitors to learn Drupal? Drupal Distributions vs Installation Profiles? Since we use a live chat support system, we recognized that some of our website visitors who come via organic search, do not know what installation profiles are as they are new to Drupal. Specifically the difference between a Drupal distribution and installation profile. Read more about Drupal Distributions vs Installation Profiles? We have updated all our premium Drupal themes to the latest Drupal version 7.17. The maintenance release of Drupal 7.17 comes with several bug fixes and minor feature and API improvements. All the details you can find in the release note. We have also upgraded all supported 3rd party modules.